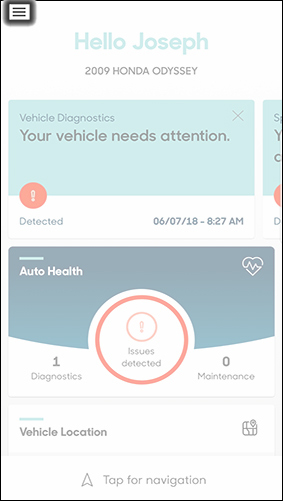 If you need to contact roadside assistance via the app for your Hum-equipped vehicle, view this info. 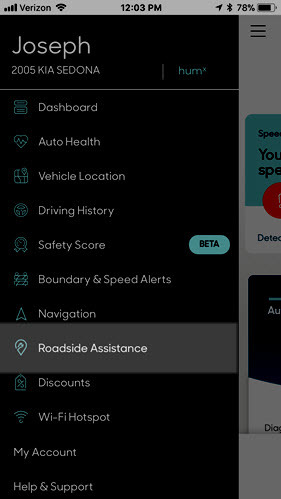 24/7 pinpoint roadside assistance uses GPS so that help can reach you quickly in an emergency. Assistance updates are not available if you call to submit a request. Some Hum-compatible vehicles (those with a gross vehicle rating of 10,000 pounds or more) are not eligible for Roadside Assistance. For more info, view these terms and conditions. 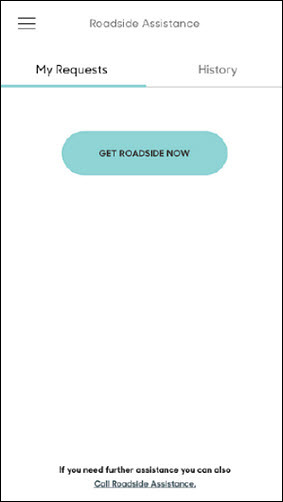 Tap the Get Roadside Now button to proceed to the next step. If you're not in a safe place, dial 911 for emergency services. 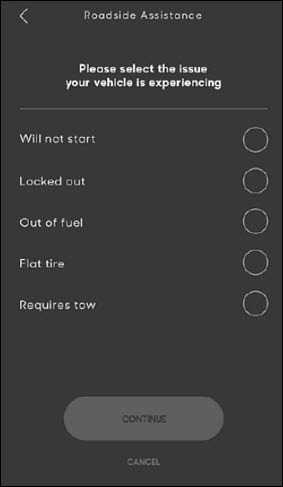 At any time, tap the Call Roadside Assistance link located at the bottom to speak with an agent. Choose the vehicle that needs assistance then tap Continue. 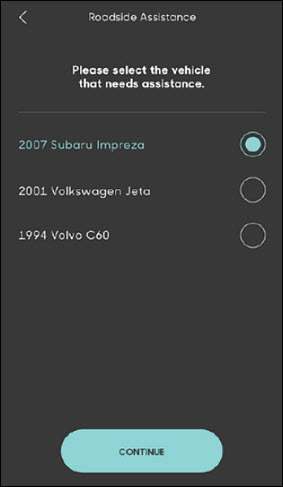 Tap Yes to set the auto-detected area as the location of the vehicle then tap the checkmark icon. 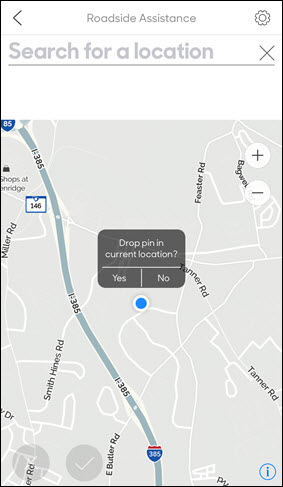 If the auto location isn't correct, tap the X icon then tap No to clear and press on the screen to drop a new location pin or search for a new location. From the list provided, choose the issue that best describes your reason for the needed assistance. Based on the problem type chosen, answer the follow-up questions that appear then tap Continue. If the issue requires towing, choose the towing destination. 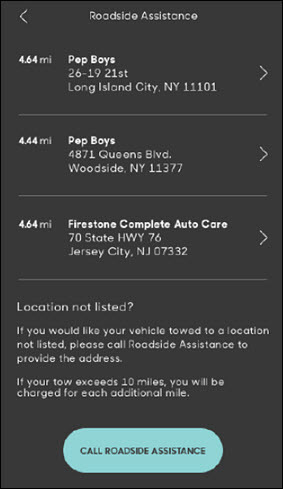 If the desired location does not auto-populate, tap the Call Roadside Assistance button to speak with an agent. If you need to update, tap the back arrow icon in the upper-left to return to a previous screen. Review the request details (e.g., phone number, location, etc.) then tap Send Request.